So pretty! I wish I could make these. 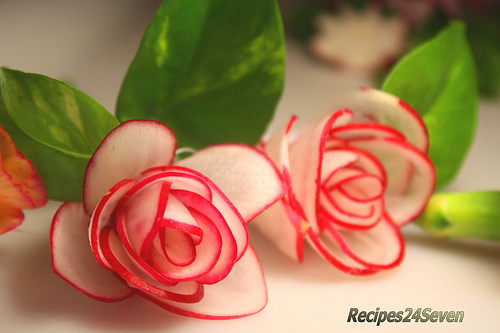 This entry was posted in Food, Uncategorized and tagged Radish Roses by Julia. Bookmark the permalink.